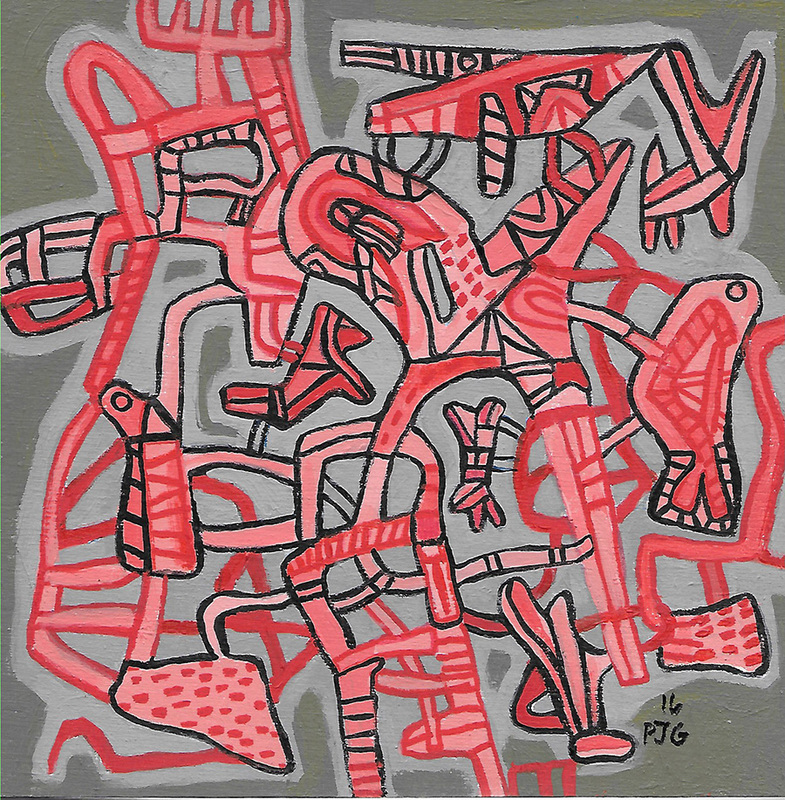 Peter J. Geise’s work non-objective and semi-abstract art-making practice began at the age of 12 and is informed by modern art of the 20th century. Major artists who have had an influence on Geise’s work include Klee, Miro, Picasso, Gorky, Rauschenberg, Twombly, Dubuffet and Winters. 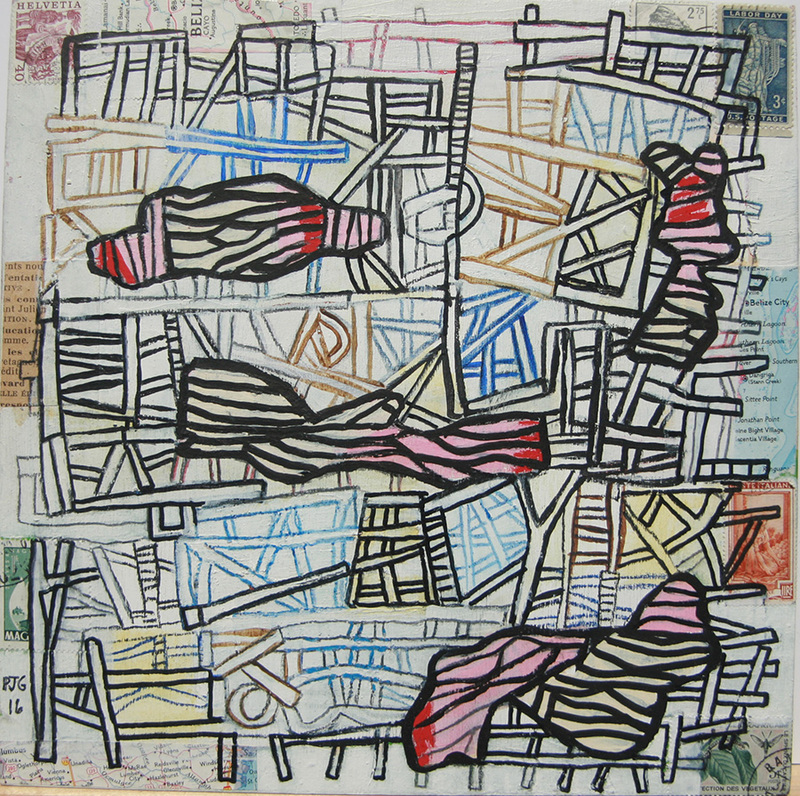 Geise also employs drawing, painting and collaged materiel in formal and random or “automatic” compositions. These self-taught, flat perspective methods often feature biomorphic “figures” or glyphs that are a reworking or “updating” of 1920’s to 1960’s abstract art and influenced by folk, “outsider” and “visionary” art models. Additional influences on composition and theme include music (alternative rock, etc), classic film, “underground comics”, 1950’s Sci-Fi, graffiti and various conceptual art concerns. The artist has numerous best of show awards in San Diego County.